Village justice was meted to a woman after she was caught cheating on her husband with her nephew. 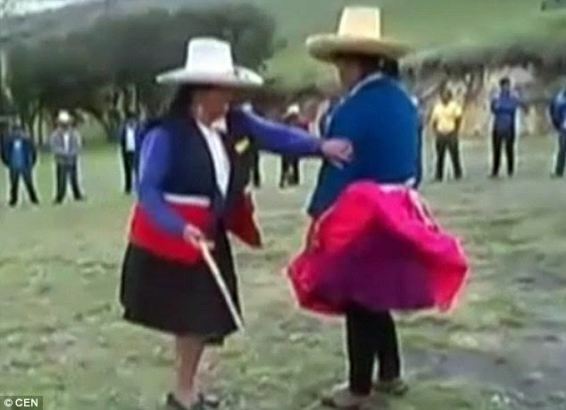 The incident took place in a Cajarmaca, a small indigenous community in northern Peru. 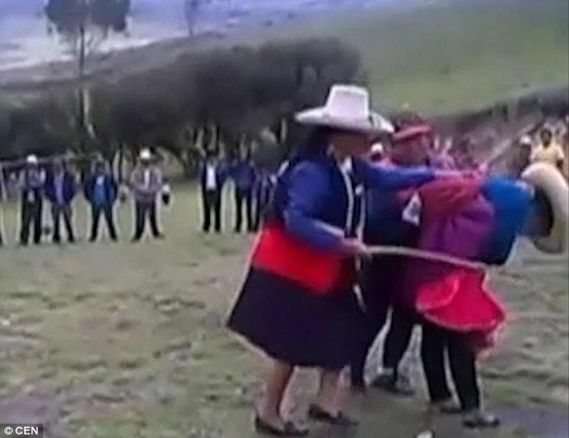 The woman was whipped by a village elder after being accused of seducing her 20-year-old nephew while her husband was away working in Spain. 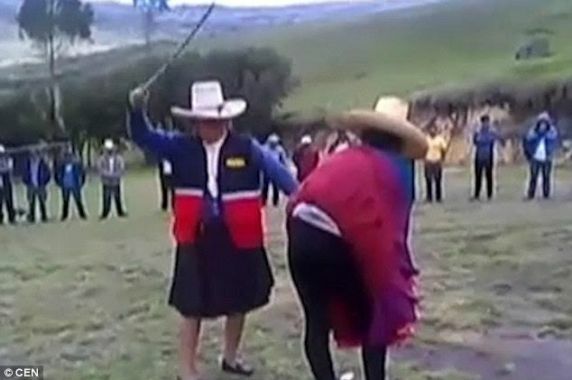 A video of the public punishment shows the woman, bending over as one of the female leaders of the community lifts up her skirt and hits her backside with a stick. 'Bend over, stay still! ', shouts her discipliner as she tries to move away from the blows, before another man runs over to hold her in place. The woman bends over again, though she continues to flinch as her behind is savagely whipped. Her nephew was also beaten when he tried to rescue his aunt and lover by climbing in to what he thought was her home, he picked the wrong house, he was spotted by its residents and accused of being a burglar. According to one of the young women living in the house, they found the young man on their property at around 5am and beat him up.